Mizuno Wave Sayonara 2 are neutral performance running shoes. The most visible change in this new version of the Mizuno Wave Sayonara is the upper's design referring to hand waving when saying "goodbye" ("Sayonara" means "goodbye" in japanese) and a thicker tongue with soft feel which improves fit. After some use is noticeable the midfoot's reinforcement and removal of internal seams towards Dynamotion Fit® system that works making softer the feeling of toe inside shoe. In addition to what has been mentioned above, Mizuno keeps the practice of renewing upper every year but sole and midsole do every two, so regarding to its predecessor Wave Sayonara, it still uses AIRmesh® in the upper providing exceptional breathability, U4iC in the midsole and durable rubber X-10 in the sole. 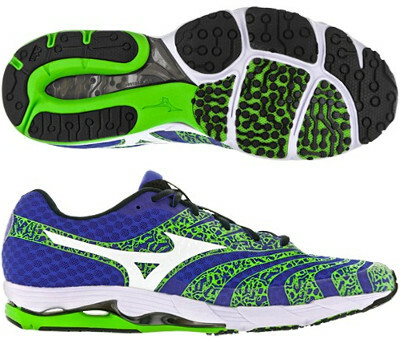 The Mizuno Wave Sayonara 2 targets neutral runners looking for light, versatile and responsive running shoe.